Growing demand for web addresses has forced ICANN (Internet Corporation for Assigned Names and Numbers) to consider worldwide proposals for new top-level domain extensions. For a period of six months, anyone could submit an application (for the small fee of $185,000). ICANN started to accept these ngTLD (new generic Top Level Domain) applications in January of 2012. By the June 2012 deadline, ICANN received a total of 1,930 applications. After a process of deciding the most worthy extensions to proceed, ICANN decided to first launch four ngTLDs with non-Latin characters in mid-2013, before introducing ngTLDs with Latin characters in November 2013. The early ngTLDs, such as .guru and .club, had the advantage of grabbing domain buyers’ attention, especially with the newly introduced, and occasionally quirky, extensions, like .pizza, .ninja, and .beer, just to name a few. But .xyz quickly took over the competition, with now over one million domains in just one year of existence. More websites now embrace the ngTLDs for their website addresses (for example, 3.4% of these users have the .party extension). And good news for the people who decide to use more obscure extensions — Google announced they will treat all ngTLDs like other gTLDs (including .com, .net, or .org) in their search systems equally. Google even started using an ngTLD domain name (abc.xyz; please note the perfect symmetry of that domain name) for their newly-formed holding company of Alphabet. Likewise, Facebook CEO Mark Zuckerberg’s Townhall Q&A was even streamed live through a .xyz domain name. VeriSign recently published the Q2 2015 Domain Name Industry Brief, showing that 5.86 million ngTLDs had been registered as of June 30, 2015, with over 200,000 domains ending in .party (we can only assume their owners are ready to party!). ngTLDs contributed to about 2 percent of total domain name registrations for the period. Based on the VeriSign report, .xyz took almost 14% of overall ngTLD domain name registrations. Through the August newsletter, we conducted a short customer survey to ask how much they knew about these ngTLDs, with over 1,500 responses. In the survey, we asked our customers if they had registered any ngTLD domain names — select “Yep” or “Nope.” Users who selected “Yep” would select which ngTLD extensions they had registered. The results show 10% have registered at least one ngTLD domain name. This isn’t too bad compared to the VeriSign report that states ngTLDs contributed about 2% of total domain name registrations as of June 30, 2015. The top five ngTLDs that our customers registered are .club, .news, .ninja, .rocks and .xyz (in alphabetic order). On this note, if you are one of the 90% who has yet to register a ngTLD, then it’s not too late to find your awesome, fresh, new domain name! In conjunction with our weeklong celebration of DreamHost’s 18th birthday, we have partnered with the .xyz registrar and are offering the .xyz extension with the cheapest price on the planet — get yours now for only $1.00! Stefanus Hadi, Ph.D., is a Product Research Manager at DreamHost, Inc. (Los Angeles). Dr. Hadi previously worked as an Events Collector and Contributor at IHS.com Global Limited (London, UK). From 2007-2014, Dr. Hadi was a Senior Research Analyst at DiscountASP.NET, an award-winning Microsoft Windows web hosting innovator. Dr. Hadi spent seven years (2000-2007) at Hostway Corporation with over 600,000 web hosting customers worldwide and operates multiple hosting brands including Hostway, ValueWeb, BigStep.com, Gate.com, SkyNetWeb, SiteHosting.Net, and Affinity.com. At Hostway, Dr. Hadi managed research for hosting partners includes eBay, Costco, AOL, Intuit, Register.com, YellowPages.com, and Network Solutions. Prior to Hostway Corporation, Dr. Hadi worked at Packard Bell NEC Corporation online division. Dr. Hadi received his Ph.D. from the University of Southern California, Los Angeles, California. I think before anyone plans to get a new gTLDs domain name, domain investors have already grabbed the good ones. They are smart people as they know how much a domain name worth can be if sold properly during resell. I think new ngtld’s are good step by ICANN as it was getting hard to get a good domain name in dot com or .net. 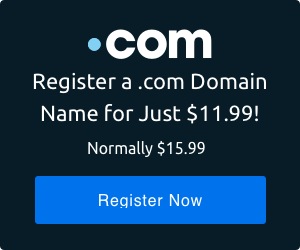 The chances are that people can still find great domain names in new gTLD’s before this market again gets crowded like .com or .net.